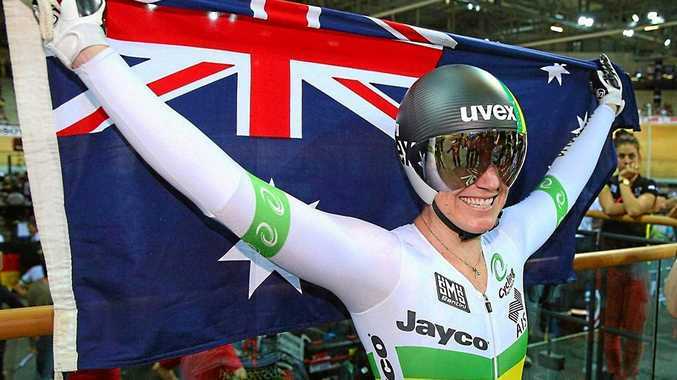 Ken "Reggie" Tucker says the 2018 Commonwealth Games on the Gold Coast could be the lure that extends cycling champion Anna Meares' stellar career. "It would be a wonderful way to finish her career, wouldn't it?" he said. "She's certainly not too old, the woman who won the road time trial in Rio was 41, but it's all about how you think and what you want. "My honest opinion is that she could do it if she wants to but that's entirely up to her. If she decided to continue on I would be quite happy to see her do it. "No one can go on forever but I say again it's entirely her decision and no doubt the media will put a lot of pressure on her but I think she's strong enough to make her own decision." Tucker, who was Meares' first coach, said he had been in touch with the champion cyclist via text messages during the course of the Olympics. He continues to marvel at the incredible success she has enjoyed during her career and says her Olympic gold medal in the sprint at the London Olympics was her greatest achievement. A tactical master stroke, is how he describes it. Tucker says if Meares does choose to continue riding she should focus her attention on the time trial. "She's won the world time trial several times and the Olympic time trials and then it was taken out of the Games," he said. "That is her best event but she had to focus on sprinting and kierin because the time trial wasn't there. "The Commonwealth Games is very different to the Olympics and it also has a time trial in it. "I tell all the athletes I train it's 50% legs and 50% head and it doesn't matter how good the legs are if you don't have the head right. "If Anna wants to go on and the head says yes, I feel she should."